Anne Hunley Trisler is a poet, musician, and songwriter whose work has appeared in Mothering, Struggle, Barbaric Yawp, The Sow's Ear Poetry Review, Wild Goose Poetry Review, Phoenix Literary Arts Magazine, The Iris Review, Glass Mountain, Dash Literary Journal, Black Fox Literary Magazine, and is forthcoming in Screamin Mamas and Bad Pony Magazine. 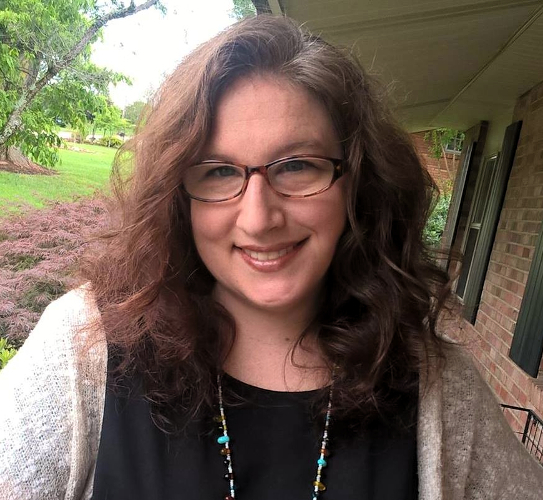 A winner of the Margaret Artley Woodruff Award for Creative Writing for her poetry and an Eleanora Burke award for her creative nonfiction, she lives in Knoxville, Tennessee, where she is pursuing an MFA in Poetry at the University of Tennessee. She can be reached at [email protected]. her song into the craggy-clouded mist.